The First Trial of ousted Egyptian President Mohamed Morsi started on the 4th of November 2013 (incitement of killing demonstrators at Etihadeya Presidential Palace. Other charges and accusations will be handled in separate trials. (the dates of trials will be announced soon by the Judges of investigations). Mohamed Morsi will be trialed for Ten serious Treason charges and crimes committed during his reign. 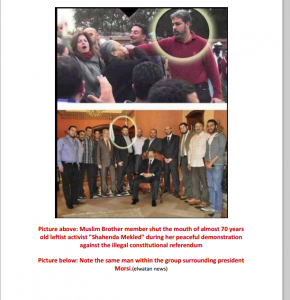 After 30th of June 2013 Revolution and Mohamed Morsi was ousted, The Egyptian Military discovered recordings and Original Documents signed by former Muslim Brotherhood President Mohammed Morsi and his second in command Khairat Al-Shater, linking Obama and his administration to illegal activities with Muslim Brotherhood and Egyptian ousted President. 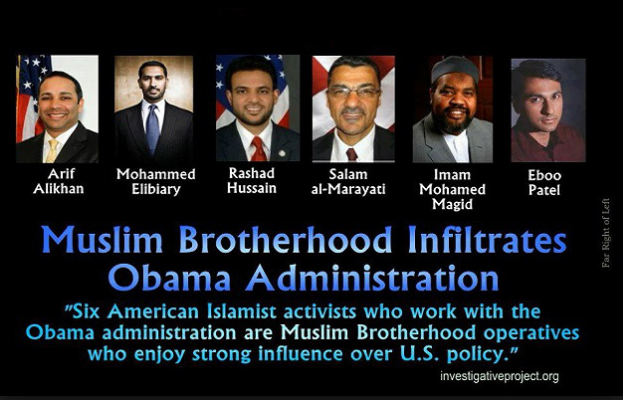 A list of Muslim Brotherhood officials received secret bribes paid in US Dollars by the US Consulate, amounting Millions of Dollars. 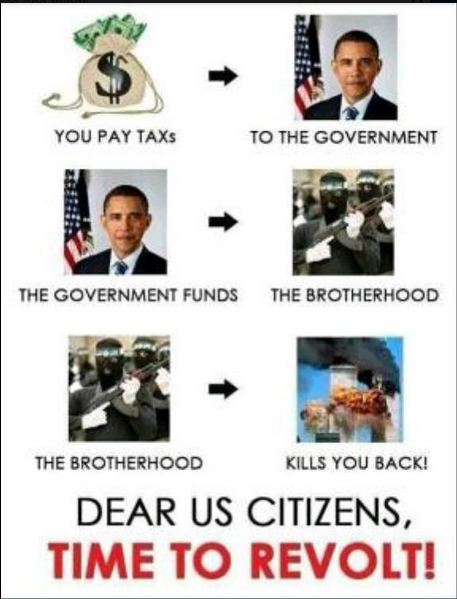 Obama’s Half Brother, Malik Obama, was one of the engineers of that major bribes investments of Muslim Brotherhood. 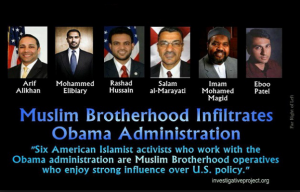 It also involves the Muslim Brotherhood International Organization Finances Worldwide, which include 8 Billion Dollar Bribe to Muslim Brotherhood paid by Obama’s administration. That 8 Billion Dollar was a payment bribe to guarantee that the Sinai Peninsula, be turned over to the Muslim Brotherhood Sister, Group Hamas, in order to achieve peace with Israel and end the Palestinian cause by moving Palestinian of Gaza Strip to Sinai. In an interview with the Anatolia News Agency, Saad Al-Shater, the son of a Muslim Brotherhood leader, the detained Khairat Al-Shater, said that his father had in his hand documents and recordings evidence that will land the head of United States of America, President Obama. The following video reveals further details. Arif Alikhan — assistant secretary for policy development for the U.S. Department of Homeland Security. Mohammed Elibiary — homeland security advisor. Rashad Hussain — special envoy to the Organization of the Islamic Conference (OIC). Salam al-Marayati — Obama advisor, founder of Muslim Public Affairs Council and its current executive director. Imam Mohamed Magid — Obama’s sharia czar, Islamic Society of North America. Eboo Patel — advisory council on Faith-Based Neighborhood Partnerships. Obama continued to support Mohamed Morsi and Muslim Brotherhood Regime, while Brotherhood regime was setting up torture chambers for their political enemies, and despite the several crimes and massacres comitted by Muslim Brotherhood against the whole Egyptian community, since they got to power till after the 30th of June 2013 revolution and Brotherhood crimes and massacres against Christians and churches burnt! 2. Ousted Egyptian President cover up the killing of 16 Egyptian soldiers in Rafah, Sinai Broders 5/8/2012, assassins escaped through the borders to Gaza strip, after accomplishing the massacre. The Egyptian Military asked Hamas Organization to deliver the killers involved in that massacres, after investigations revealed they were from Hamas and Al-Qassam Groups in Gaza. 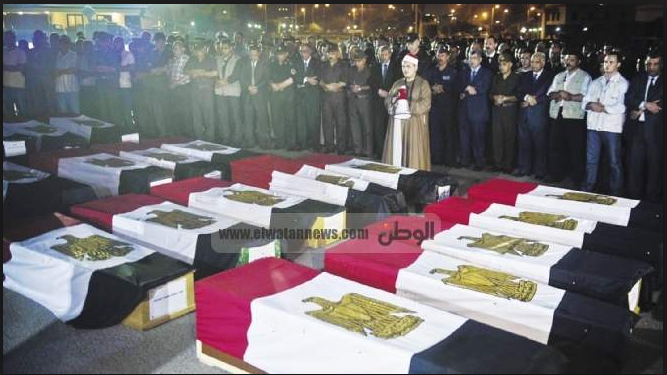 Hamas refused to deliver the assassins to the Egyptian Authorities after Ousted President Morsi announced case closed on 7/6/2013, and announced publicly, knowing the truth about that case is not going to do the Egyptian people any good, on the contrary it will harm them!. 4. Treason charges for The Abdication of the Egyptian sovereignty on Halayeb and Shalateen, Egyptian Land on the border with Sudan. Three official Sudanese confirmed publicly that Ousted President Morsi promised Al-Bashir President of Sudan during their meeting held on April 2013, that Egypt is going to waive Halayeb and Shalateen to Sudan in order to end up the crisis with Sudan. 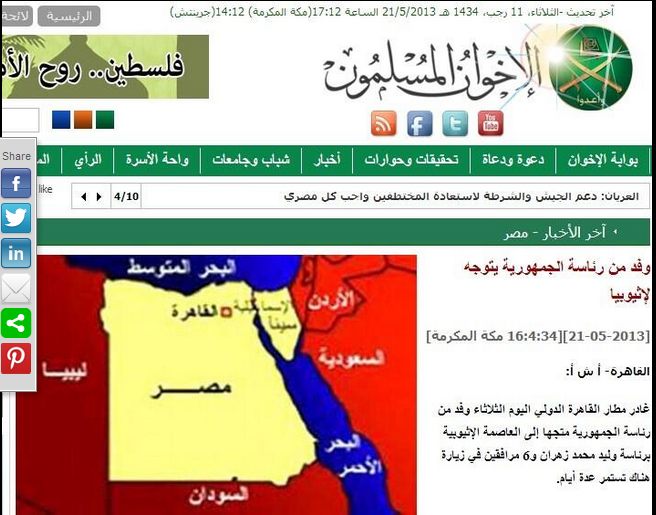 Later on after that promise from Ousted President, Muslim Brotherhood and Their political party published Egypt Map without Halayeb and Shalateen and removed Both Halayab & Shalateen from Geography School Books!. 5. 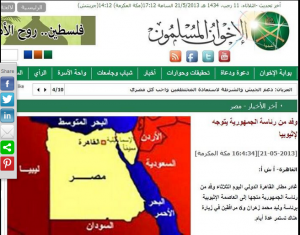 Allowing and permitting foreign Terrorists bases existence in Sinai Egyptian territory, and effecting terror acts on Egyptian lands, ousted President was ordering the opening of borders between Egypt and Gaza, disregarding the National security and the Egyptian Intelligence reports of possible terror acts against Egypt. 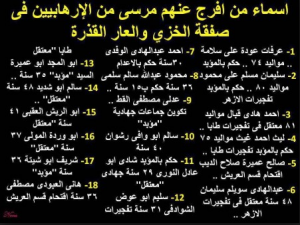 Including the misusing of full executive Authorities, in giving general Presidential pardon to more than 18 convicted Criminals and terrorists committed terror acts against Egyptian civilians, military and police individuals, Writers and famous public figures and also presidential Pardon included Terrorists who committed terror acts and massacres against tourists during the 90’s. 6. Presidential Elections forgery, threatens and forbidden Christians voters from voting and threatens of burning the whole country in Case Mohamed Morsi Brotherhood Candidate loses presidential Elections. 7. Insulting the Egyptian judiciary through Direct accusations announced publicly by ousted President Mohamed Morsi against the Egyptian symbols of judicial, and the deliberate non-implementation of the provisions by direct orders from ousted Morsi through his appointed General Attorney, illegally appointed By Ousted President, and the misuse of ousted President and Muslim Brotherhood leaders of full executive authorities acting above Egyptian laws and Constitution. Ousted President and Brotherhood leaders incitement to their supporters of attacking and assassination Judiciary symbols of the Egyptian Superior Constitutional Court. 8. Ousted President Morsi and the Muslim Brotherhood members are charged with inciting, the killing and torture of protesters in front of the Etihadeya presidential palace, which took place on 5/12/2012. Charges relate to the death of about a dozen people and many got seriously injured in violent clashes outside the presidential palace after ousted President enraged protesters with a decree expanding his powers. 9. Treason and espionage with foreign countries and foreign intelligence committed by Mohamed Morsi ousted President and escaping Wadi El-Natron Prison in Egypt. Morsi was arrested along with 33 other Muslim Brotherhood leaders on 28 January 2011. He was released from prison on 29/1/2011, through The break of Wadi el-Natroun Prison by Hamas organization Militants, who broke Egyptian Prisons, killed Police individuals and released many terrorists from jails including Mohamed Morsi, ousted President. (On 17/11/2013 Muslim Brotherhood assassinated Mohamed Mabrouk, the Official National Security Officer and the main eyewitness on the espionage case. For more details click here. 10. 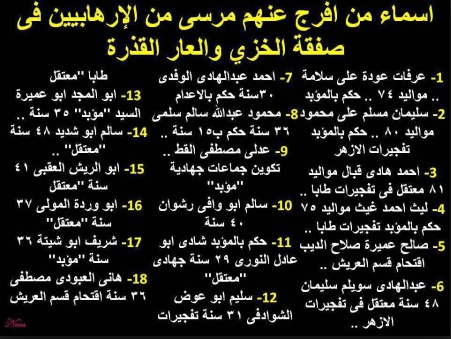 Ousted President Mohamed Morsi and Muslim Brotherhood leaders are also facing serious charges of corruption, treason and responsibility for the killing and incitement of committing terror acts starting from the 4th of July 2013 till after 14/8/2013 the disengagement of Rabaa & Nahda Sit-In. Mohamed Morsi’s direct link to terrorism, Issued presidential pardon to the most dangerous terrorist elements, were under trials or condemned with death penalty or sentenced for life.